Bloomsbury USA Childrens, 9781619636187, 272pp. 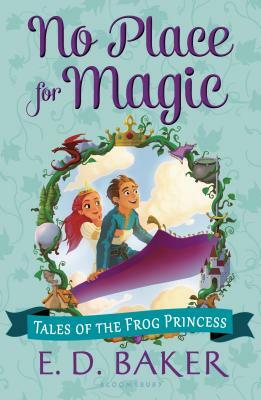 When Emma and her beloved frog-turned-prince Eadric travel to Upper Montevista to ask for Eadric's parents' blessing on their marriage, they find his homeland in chaos: Eadric's annoying little brother Bradston has been kidnapped by trolls! Worse, his mother won't let Emma use magic, even to rescue Bradston, and Eadric seems suddenly a bit too fond of the girls from his past. But as they travel through unfriendly lands, battle sea-monsters and vampires, and find allies in unlikely places, Emma just might come to see her Eadric for the strong and loyal young man that he is.